Whichever way you work, there's a space that allows you to work your way. There are dedicated private offices of different sizes are available for those who want to work privately or there are dedicated desks in the middle of the hub which allows businesses to enjoy the buzz of working amongst like-minded, talented people. For those on the go and travel with work a lot, there are hot desks available in the lounge which offer an ideal landing space. You can pitch, meet, launch, network, host or dial-in using our conferencing facilities and meeting rooms, bookable by the hour, that are tailored to be as flexible as you need. We have rooms accommodating from four up to 60 people. Great work starts with great space and many comforts. Downstairs, you'll find bike storage, showers and secure lockers. Upstairs, you'll find kitchens, breakout areas, lounges and private phone booths. All areas are connected by superior WiFi. A dedicated café, Electric Bee, is yours to rest and recharge in, morning, noon and evening. Or, head outside to the private, decked terrace, a space to pause and enjoy some fresh air. 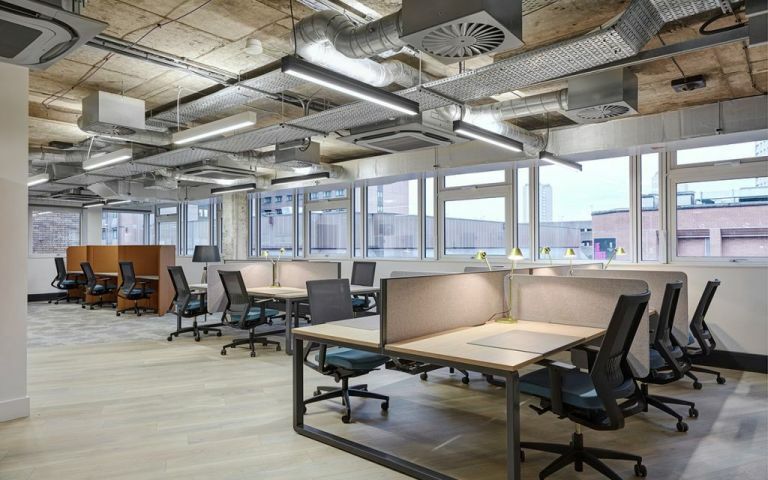 These contemporary private offices and shared work spaces offer flexible membership plans and are a great fit for a wide variety of businesses. We are situated in the heart of Glasgow on the corner of Renfrew Street and Hope Street, amongst a variety of shops, restaurants and other amenities. Hotels are very close by, including both a Point A & Hilton Doubletree within less than 0.2-miles. There are bus stops just a minute or two from the building, along with Glasgow Queen Street train station being just a seven-minute walk away. The M8 is located just 0.5-miles away which links Glasgow to Edinburgh which is approximately a 47-mile drive. These offices in Renfrew Street offer a range of prices depending upon your exact requirements. Contact us now and we will help find the best price for you, based on your individual needs.